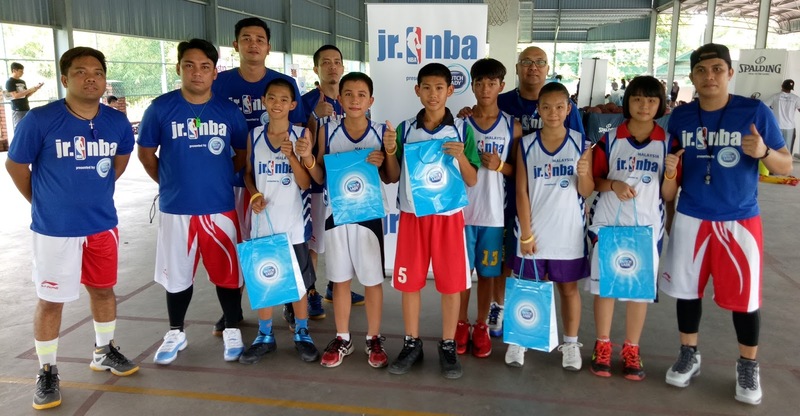 Following a successful visit in 2016, Jr. NBA Malaysia 2017 returned to Penang for the second consecutive year. This clinic reached 32 schools and 400 boys and girls – showing an increased figure that doubled from last year. This year’s programme will reach more than 6,000 boys and girls at more than 200 schools, including a first time stop in Johor Bahru in search for local basketball talents to attend the Jr. NBA Selection Camp in Kuala Lumpur, moving them one step closer to being named 2017 Jr. NBA Malaysia All-Star! With the increased interest from female youths in the sport, the programme has extended more slots for girls to achieve their dreams. The programme will culminate with eight boys and eight girls being named 2017 Jr. NBA Malaysia All-Stars. These standout campers will embark on a unique, overseas NBA experience together with their counterparts from Southeast Asia later in the year. “This programme caught my attention and interest when my teacher informed me of the clinic. Watching my older brother actively playing basketball intrigued me to take part so that I can learn basketball skills and maybe challenge my brother to a game one day,” said Aufa Farzana from SMKA Perempuan Almashoor excitedly. The Penang clinic culminated with the selection of 2 girls and 4 boys who will attend the Selection Camp in Kuala Lumpur from July 8 to 9. (L to R) Selected participants: Lim Hao Ke (age 13), Ooi Yu Hern (age 13), Pang Hai Wei (age 13), Khor Kae Ning (age 12), Yap Li Hui (age 14) and Tan Jie Ning (age 13). “This is my first time playing basketball so being selected was certainly more than I could ask for. Watching female basketballers stirs me to pick up this sport because I admire the strength and charisma that they carry when they are in a game. After going through this clinic, I hope to represent my school one day,” said Yap Li Hui from SMK Taman Perwira. The clinics were led by Joselito F. Vergara, along with coaches from the Westports Malaysia Dragons and the Ministry of Education (MOE) from Penang. Participants are trained in the fundamentals of basketball and learn about the importance of proper nutrition as well as the Jr. NBA’s core values of sportsmanship, teamwork, a positive attitude, and respect. The Selection Camp in July 8 & 9 is a two day event made up of skill stations and clinics on the first day, followed by scrimmages and final selections on the second day. The top 32 boys and girls from the Selection Camp will be invited to participate in the Jr. NBA National Training Camp in Kuala Lumpur from July 28-30. The National Training Camp will once again be attended by a current or former NBA player. The next stop for the Jr. NBA programme will be at Johor Bahru, Pei Chun High School on May 13 at 8:30am.